When’s the last time you went on vacation with your spouse, or bonded with just the girls? Whether you’re leaving the kids with the grandparents or kissing your hubbies goodbye for a few days, weekend escapes are the key to developing close bonds. 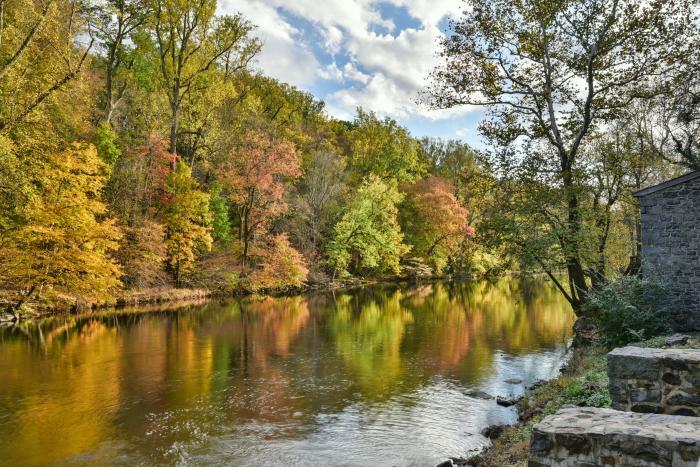 With brilliant fall foliage, rich history, and a bustling art scene, you couldn’t choose a more picturesque autumn destination than Wilmington, Delaware and the Brandywine Valley. This cooler season is one of the best times of the year to visit the region. You’ll be greeted by brilliant shades of red, yellow, and orange that serve as the perfect backdrop to picnics, hikes, vineyard tours, and more. Whether you choose to tour by foot, bicycle, or vehicle, there are endless ways to enjoy leaf peeping. Here are some spots that couples and girlfriends should add to their weekend itineraries. Is there anything as classically American as a scenic road trip? Take a drive down the highway to take in magnificent rolling hills and breathtaking views of autumn leaves. 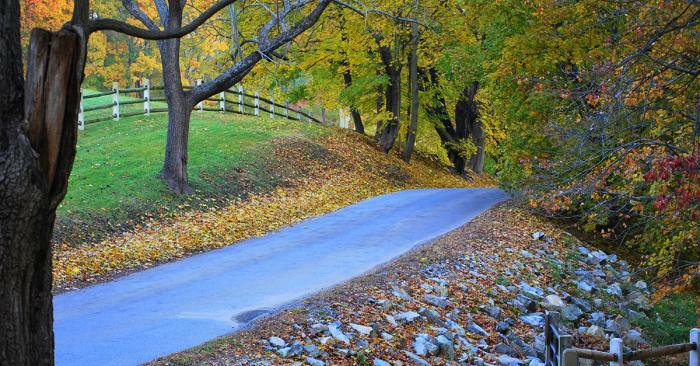 Brandywine Valley National Scenic Byway is dotted with covered bridges, historic farms, and the winding Brandywine River. Not in the mood to drive? Relax in your seat as you experience the region’s natural show from a vintage steam locomotive on the historic Wilmington and Western Railroad. Trips range from 1.5 to 2.5 hours, and take passengers through 10 miles of mills, meadows, and waterfalls, with a break for a picnic lunch at Mt. Cuba Picnic Grove. More interested in getting some fresh air as you explore Delaware’s fall finery? Walking and biking tours are a way to get your blood pumping after Saturday brunch, or waking up on a Sunday morning. Bring along a thermos full of your favorite coffee or tea and spend the morning hiking Bellevue State Park or strolling through Longwood Gardens. The Michael Castle Trail offers a scenic 12-mile stretch that’s perfect for biking, walking, and even horseback riding. Want to experience a blend of nature, beauty, and history? The Hagley Museum and Library, located on 235 acres along the banks of the Brandywine River, offers a glimpse of early American industry at this site that was once the original gunpowder works founded by E.I. du Pont in 1802. Visit restored mills, a worker’s community and the ancestral home and garden of the du Pont family. Feel like stopping to smell the roses? There’s no end to the flowering gardens throughout Wilmington and the Brandywine Valley. 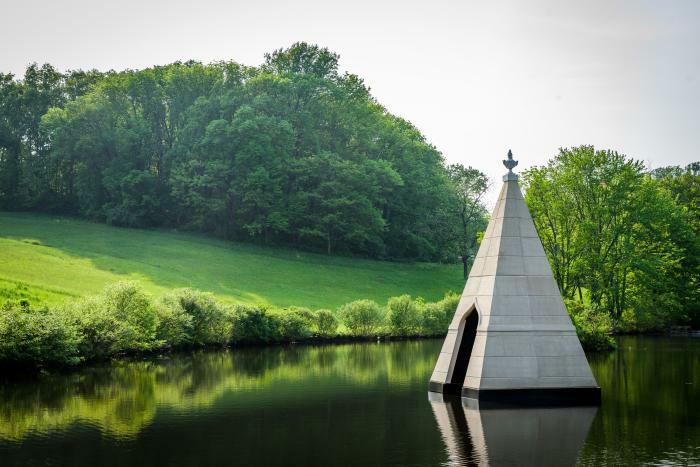 At Winterthur Museum’s Architectural Whimsy in the Garden, your curiosity will be piqued by extravagant structures like an Ottoman tent, a magical faerie cottage, and a Gothic-inspired tower. If you’re looking for a unique way to cap off the evening, you can’t miss the musical nighttime performances at Longwood Garden’s Festival of Fountains. Make sure to make reservations for a sustainably-sourced late lunch at restaurant 1906. Wilmington is brimming with talented artists, theater companies, and music festivals. Spend the morning exploring the latest art exhibit at Brandywine River Museum, or channel your own inner Picasso while sipping vino at Painting in the Vineyard at Penns Woods Winery. 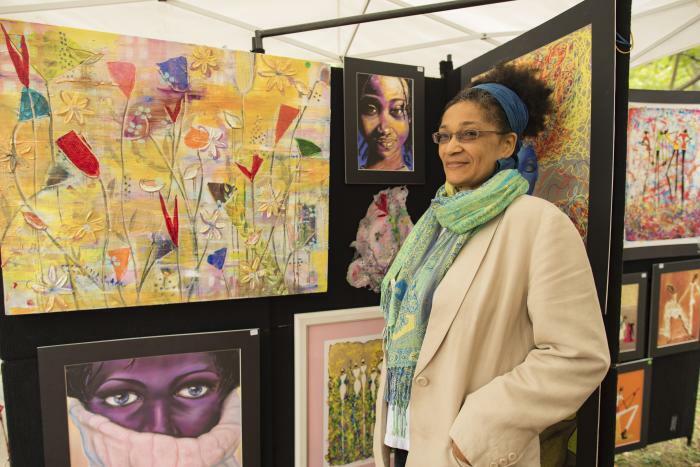 Make a day out of it when the Brandywine Festival of the Arts comes to town. This annual arts festival is held the weekend after Labor Day and is considered one of the top 100 shows in the nation. Whether you enjoy relaxing with a cold ale or glass of cabernet, you will have a blast touring Wilmington’s breweries and vineyards. Don’t miss Delaware Saengerbund Oktoberfest, where you can feast on grilled Bratwurst and potato pancakes while sipping on traditional German beers. For more variety, the Delaware Beer, Wine & Spirits Trail features a unique collection of more than 20 breweries, wineries, distilleries, meaderies, and cideries like Dew Point Brewing Company, Liquid Alchemy Beverages, and Iron Hill Brewery & Restaurant. Experience Wilmington’s spookier side by embarking on a ghost tour or exploring haunted attractions. Not for the faint of heart, thrill-seekers love to explore the haunted Colonial town of Historic New Castle. Take a walk down darkened streets and alleyways and hunt down the “Woman in Blue” at the legendary Amstel House. For a late-night adventure, find an excuse to hold hands as you walk through the Old Swedes Church cemetery as part of its Ghost in the Graveyard tour. 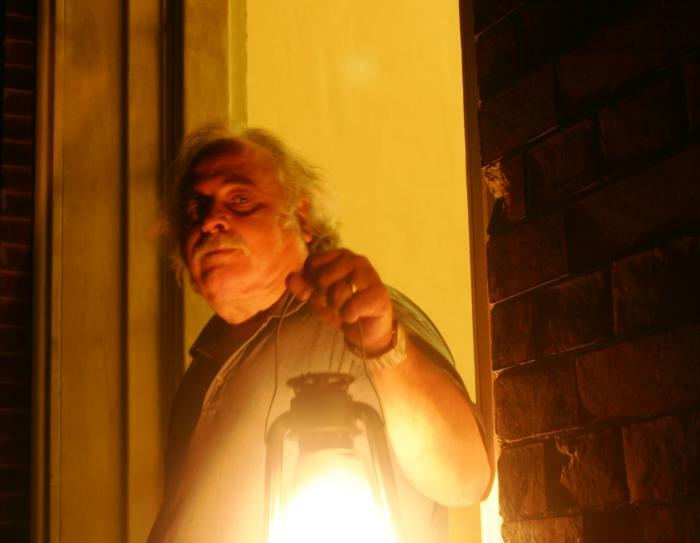 Take paranormal exploration into your own hands with a ghost tour at Rockwood Museum. In the company of a psychic or medium, you’ll use advanced equipment to explore the mansion’s attic and basement. With a seemingly endless list of responsibilities and chores, you deserve a chance to get away. 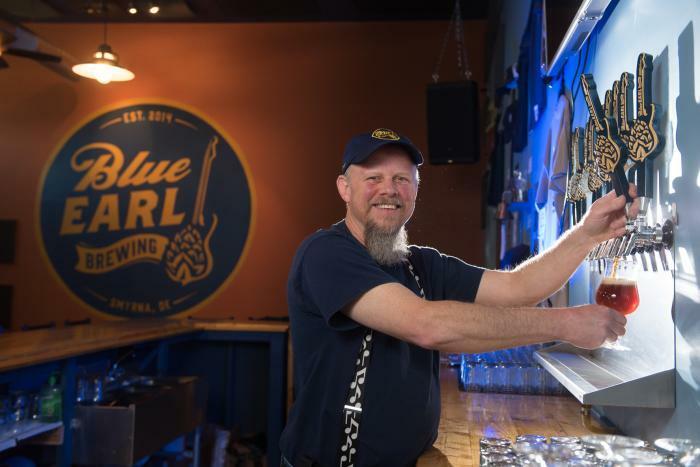 Whether brews or boos are more of your fancy, you’ll find something to suit all tastes in Wilmington and the Brandywine Valley. Fall’s colors won’t last forever, so be sure to start planning your girlfriend’s getaway or couple’s escape right away with a free visitors guide.